Hallowe’en, it’s just for kids right? You couldn’t be more wrong…. You never know what you’ll find lurking in The National Wax Museum Plus. Do you think you’re ready for The Horror Hotel, The Chamber of Horror’s or The Dublin Dungeons, based in The National Wax Museum Plus? Suggested for those age 16 and over for good reason… With Count Dracula, Hannibal Lecter, Freddie Kreuger and a whole host of creepy wax figures and more guaranteed to thrill all horror enthusiasts and the poor victims they drag along with them. 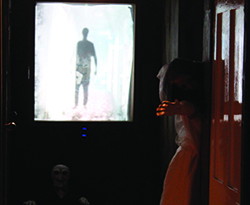 This Horror Experience is Ireland’s original horror experience. We have genuinely been scaring people for years and 2018 will be no different, we guarantee some serious frights for visitors. There’s been a murder at the National Wax Museum and we need you to solve it! 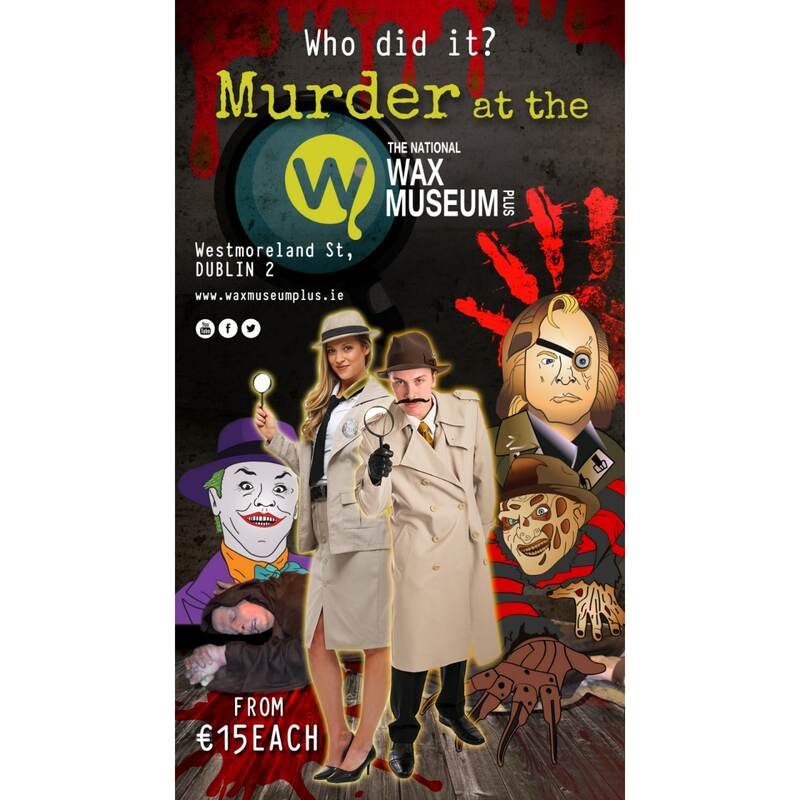 Our Wax Creator has been unceremoniously butchered and all of the waxworks are suspects. Will you believe their alibi? Or will they pull the wool over your eyes? Will you all work together to solve this mystery or is one of your working against the team? This evening event is best suited to groups of 8-12 visitors and roughly takes an hour and a half to complete. This game will test your detective skills, your team building skills, your acting skills and is a unique Murder Mystery event for all types of groups. Find out more about the Murder Mystery here or book online today! Is the Chambers of Horrors really scary? Yes, it’s a specifically designed horror section which features, horror characters, horror animatronics and a monstrous part of the Wax Magic App.